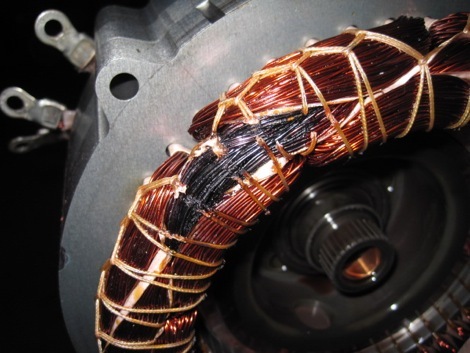 Stator degradation can be confirmed in the service bay; LG maintains the necessary diagnostic tools and leads the industry in expertise. 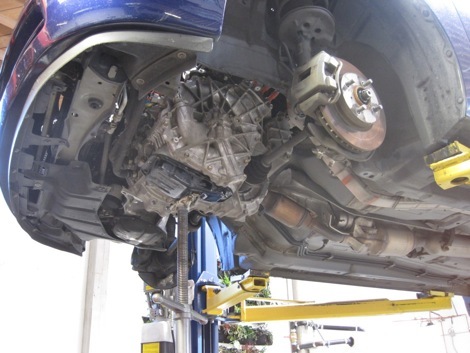 All information is shared with the vehicle owner and documented in the work order. 1. 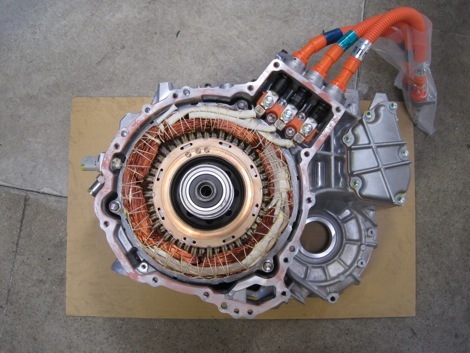 It is possible to remove and replace the MG2 stator from behind the assembly endplate, with negligible disturbance to the motor resolver. 2. 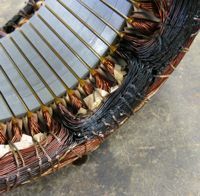 A replacement stator can be harvested from an MG2 assembly, available brand new from Toyota for a third of the price of the entire transaxle. 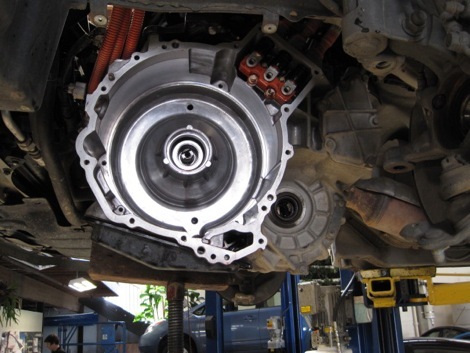 The result is a reliable service procedure that saves significant time and money. 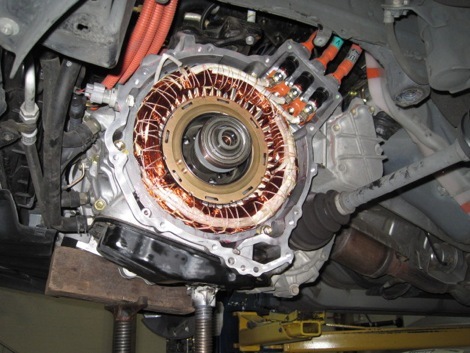 Repair strategies of the past—replace the entire transaxle with brand new, replace the entire MG2 assembly with brand new, or replace the entire transaxle with used—are effectively obsolete. For questions or to book an appointment, use the contact page. 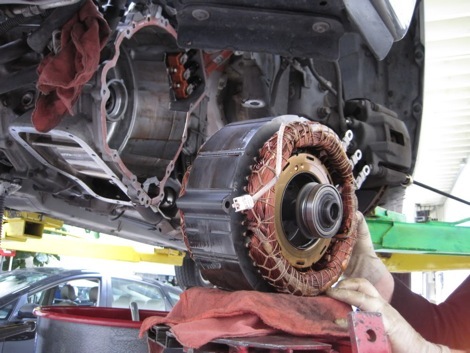 While not inexpensive, this repair significantly reduces the monetary and material cost of Gen 1 Prius ownership, postponing the day when a fuel-efficient car has to be replaced. Credit for this service procedure goes to Jack Rosebro of Perfect Sky Hybrid Training. For classes call 310-383-4800. NOTE: LUSCIOUS GARAGE IS NOT A TRAINING FACILITY. We publish our services online to promote ourselves and to inform hybrid owners of their service choices. This is a complex procedure, and should not be undertaken without proper instruction. 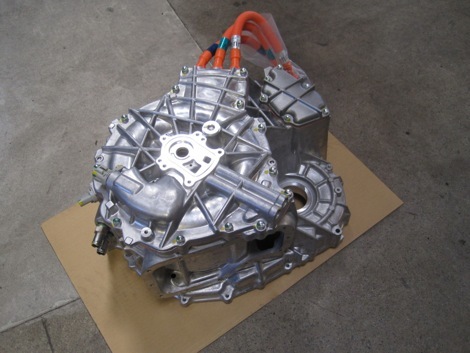 ← Rebuilt HV Battery Packs – Toyota Prius Hybrid et al.